You’re right to be concerned about your financial future after you’ve been injured in a car accident. Fortunately, a Cedar City car crash lawyer can relieve you of your worries. Whether you’re on your way to school, work, or somewhere else, a car crash is often the last thing on your mind. Collisions, which seem to strike at the most unexpected or inopportune moments, can be life-altering events that raise countless questions. For example, if you’re not found at fault in an accident, what legal rights do you have? If someone else crashes into you, will you be able to recover all of the compensation you need? 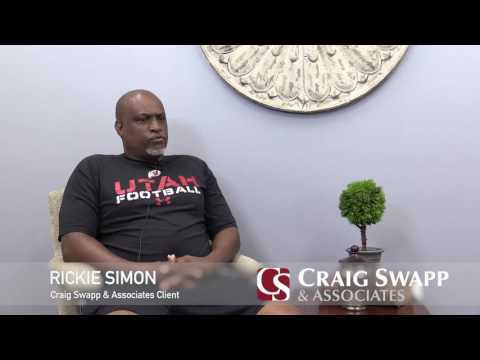 Many insurers purposefully hide the answers to these and related questions from car accident victims, which is why it pays to consult with an experienced Cedar City car accident lawyer at Craig Swapp & Associates. On the list of things Americans hate most, insurance companies probably don’t fall far behind having teeth pulled. Insurers have earned their poor reputation by regularly cheating car accident claimants out of some or all of the compensation they need and deserve—all in pursuit of pocketing more money. Deceptive tactics that insurers have been known to use include twisting statements against you, forcing you to accept unfavorable settlement terms, conducting slipshod investigations, and creating unnecessary delays. Because insurance companies rarely have good intentions, it’s often best to let a Cedar City car wreck lawyer who’s used to their shenanigans deal with whatever complications they bring. Once you’ve decided to file a claim for your car accident, you’ll have to familiarize yourself with how car accident law works in Utah. The first thing to understand is that car accidents are considered a type of personal injury, meaning that your case will be subject to the standard of modified comparative negligence. You will not be able to receive any damages if you’re found more than 50 percent responsible for your own injuries. Any liability you do hold will be directly deducted from the damages you’re eligible to receive. For example, being found 25 percent at fault would cut your compensation by a full quarter. Another legal consideration that you’ll have to address is your case’s statute of limitations, which essentially tells you how long you have to file a claim. The standard statute of limitations for personal injury cases in Utah is four years. Because these two legal items are only a snapshot of everything that may apply to your case, it’s nice to know that a car accident lawyer in Cedar City is only a phone call away. Your list of damages should fully account for the ways in which your lifestyle has been impacted by your auto collision in Cedar City. Common losses documented in car crash claims include medical expenses, lost income or wage-earning potential, pain and suffering, emotional distress, vehicle repair or replacement, loss of consortium, and loss of enjoyment of life. Getting hit by another driver is not something you can always control, but you can almost always be proactive in handling the financial outcomes of your crash. To see what life may look like after a successful settlement, contact a Cedar City car accident lawyer at Craig Swapp & Associates today. Call us at 1-800-404-9000, or fill out the online contact form at the bottom of this page to book a free, no-obligation consultation with our legal team.